Bethune-Cookman vs. South Carolina State–The best non-traditional rivalry in HBCU football??? What a great time to be in the World’s Most Famous Beach. The days are sunny, the nights are pleasant, and there is a tangible sensation of excitement permeating the air. It is homecoming week at Bethune-Cookman University and the Wildcats are preparing to take on perennial MEAC power South Carolina State. This matchup is special any time it’s played. Adding the pageantry, expectations, and atmosphere of a homecoming event to it as well as the stakes of first place in the league standings makes it epic. The BCU vs. SCSU annual showdown has become one of the best on-the-field rivalries (albeit a non-traditional one) in all of HBCU football. There is no disdain for or hatred of the opposing team’s fan base. There are no geographical wars over disputed lands of which to speak. To the best of our knowledge, no grandkids have been written out of the Will for choosing the wrong side and no giant oak trees have been poisoned (sorry Auburn fans). Instead, this rivalry evolved from intense, hard-hitting action on the field and the primal desire of 2 clans of alpha males slugging it out to prove that they are the MEAC’s top dog (or top cat if you prefer). Tradional HBCU rivalries like Jackson State vs. Tennessee State; Alabama State vs. Alabama A&M; and FAMU vs. Southern all draw much larger crowds, but when BCU and SCSU tangle the outcomes have an impact on the college football landscape. The winner of this game has gone on to win 4 of the last 5 MEAC championships. They share 5 playoff appearances between themselves since 2008 and they have won 2 Black College National Championships in that same timeframe. BCU and SCSU were predicted to finish 1st and 2nd respectively by the league’s coaches and sports information directors at this year’s MEAC Media Luncheon. They rank first and second in the league in Scoring Offense, Total Offense, Scoring Defense, and Total Defense. SCSU head coach Buddy Pough has won four MEAC crowns in 11 seasons and guided the Bulldogs to an all-time MEAC best 21 consecutive game conference win streak from 2007-2010. In a twist of irony, BCU can match that mark this season if they win out and it was the Jenkins-led Wildcats who ended the Bulldogs win streak in Oliver Dawson Stadium in October of 2010. The Wildcats have won 2 MEAC titles in Brian Jenkins’ first 3 seasons. Jenkins owns a 2-1 head-to-head advantage over Pough and BCU has won 9 of the past 15 matchups with SCSU. The Wildcats are the only MEAC school to boast a winning record in Orangeburg during Pough’s tenure (3-1). However, this game isn’t being played in South Cackalacky and the homefield has proven to be somewhat of a disadvantage in this matchup as of late. The road team has inexplicably won 6 of the last 8 meetings in this contest. In SCSU’s last visit to Municipal Stadium two years ago, they left with a 26-18 victory. The 2011 loss suffered at the hands of the Bulldogs is the only MEAC home defeat on Jenkins’ record and it is all that separates coach Jenkins from earning 3 MEAC crowns in 3 years. Saturday’s winner will earn sole possession of 1st place in the conference and gain a stronghold on the league’s automatic qualifier bid for postseason play. It’s Buddy vs. Brian; the 101 vs. the Pride; the old guard vs. the new; Big Dogs vs. Big Cats; South Carolina State vs. Bethune-Cookman. It’s HBCU football at its best. So tell us what you think. 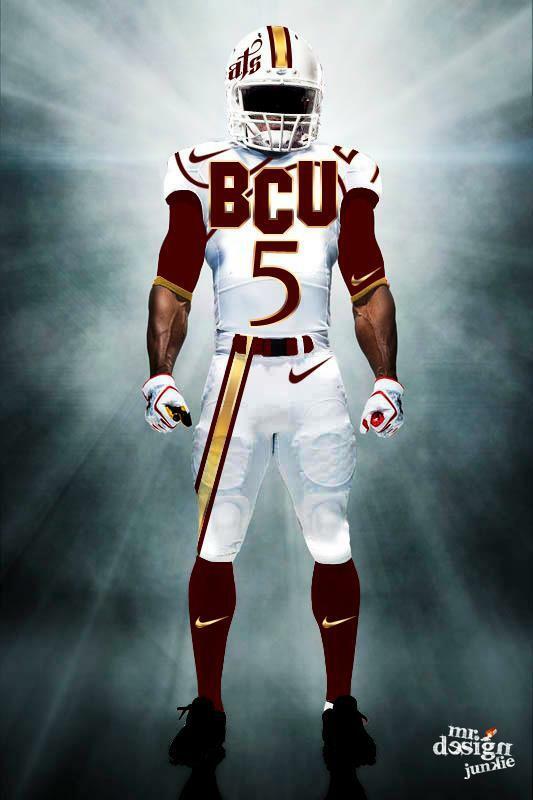 Has the BCU vs. SCSU matchup become the best non-traditional rivalry in HBCU football? in this subject. Well with your permission let me to clutch your feed to keep updated with drawing close post.